Carbon fibre reinforced polymer matrix composites are currently standard structural materials for aircraft applications due to their high potential for weight savings and improved fatigue behaviour. Conventional autoclave processing cannot meet the increasing demand of advanced composite structures due to its associated high equipment, labour cost and long cycle times. QuickstepTM offers an alternative to autoclave technology and provides high heating and cooling rates by utilising fluid to transfer heat to and from composite components. This book, therefore, investigates the mechanical performance of CFRP composites produced by Quickstep in comparison with those manufactured by autoclave and hot press processes. Systematic mechanical characterizations including mode I and mode II delamination fracture toughness, indentation creep, indentation-debond and drop-weight impact tests are conducted. 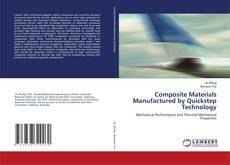 The analysis should shed some light on this innovative composite manufacturing technology, and should be especially useful to professionals in high performance composite industry, or anyone else who may be considering utilizing this process for making composite components.